The love of adventure, for doing things never done keeps me visiting my deepest fears and strengths I never knew I possessed in the pits of my stomach. So right from Bungee Jumping from a decent height of 45 Mt's, going on India's longest flying fox 1250 ft., going on some deranged water activities in Konkan to some other stuff, your girl has braved it guys and believe me I was crazy scared before every one of them. I feel a year older should also mean a new thing accomplished or learnt, tried or in my case many a times torturing myself to the finish line. Why ? because Why not ? Life is short, there is so much to learn and experience, so little time and to top it all Dar ke aage Jeet hoti hai my friend - filmy enough. Whatever will be, will be .. the future's not ours to see.. So I just let it be. 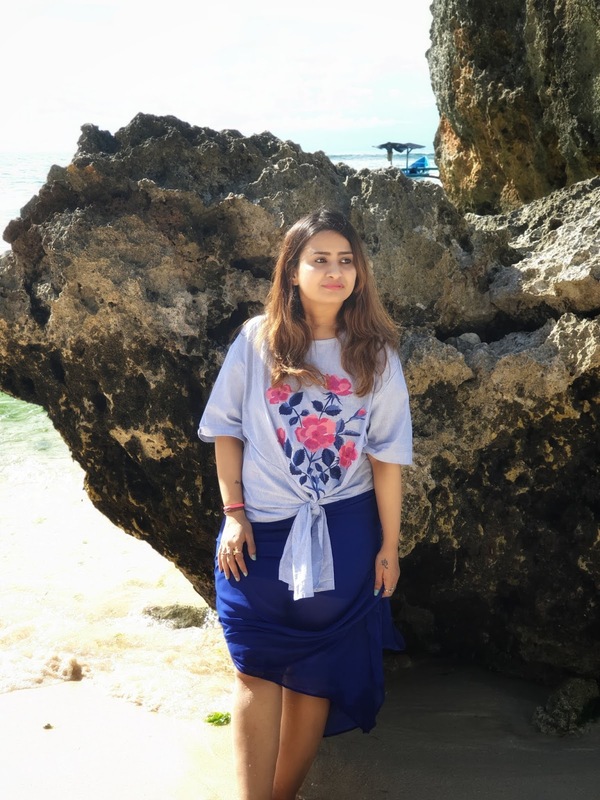 We have been meaning to go scuba diving since a long time ( sky diving, bike riding to Ladakh and many other crazy things) , so on our Bali trip the first thing I arranged was for our very first dive. 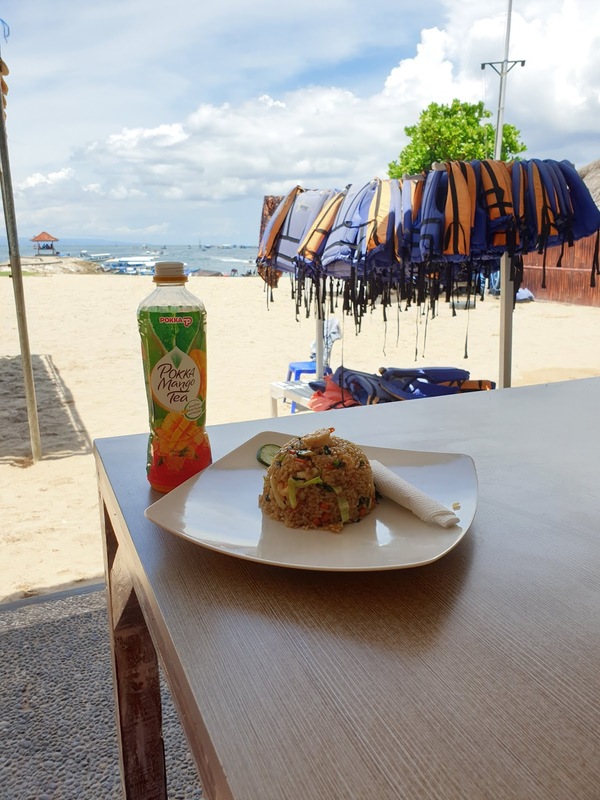 Hubby dear oblivious to the growing rumbling in my tummy and sweaty hands and feet literally (not just Bali heat you see) shared his excitement on every passing minute of how he was dying to try it and I was dying inside every minute as it got closer not to try it. My fear of deep water was resurfacing and my head was just swinging side to side bobbing away in sheer nothingness while hubby thought I was responding to him. As we got in the pool for our training, that was the first time I flipped under the hand of the trainer as fear reared its ugly head as soon as I went under water. Hubby completed his training in one go as smoothly as a shark cutting through water and looked effortlessly handsome and calm if I may add. On the other hand I struggled just like a fish without water (jal bin machli) exactly the same way if you can picturise only difference being I was in water (definitelynot a pretty sight). Finally somehow the trainer gave us a go ahead was it out of sheer boredom of me being in water with him doing my whole jal bin machli thing. Anyhow as we embarked on the boat which was taking us to the diving site with our fellow divers who were really young honeymooning couples hung up on love. I asked them was it their first time, did they know swimming, their answers satisfied me - they didn't know swimming and it was their first time - all just like me. However they appeared cool as a cucumber in this increasing Bali heat. I thought to myself how young and oblivious to the world in foolish love they were, here was I dying on the inside too proud to say anything to my hubby now that was for love too (so now I should I say not so young still ever so foolishly in love) I didn't want to hassle him. In my head I still thought wait till these people get in the sea then I will have some company to my fear, now fear my friends doesn't do too great alone, it seeks company of others fear to console itself to feed on. Today wasn't my lucky day. Nil company for my fear and me, no luck. What so happens, is often times when Fear is all alone which does happen in the darkest of times and then boom it multiplies, it flips on more in the loneliness, rears its ugly head even higher and before you know its a giant of the most gigantic magnitude - The Fear Monster. I was battling with this demon oblivious to the beautiful blue water and gorgeous sunny day and amazing instructors. Now as awesome as the trainers were the jerks chose me to go first. They tied crazy weight on me- hello this was never mentioned in the training, I could hardly balance myself or stand up straight in that bobbing boat and they tell me coolly to walk to the dive point of the boat. Now that my friends was the wobbliest walk in my entire life, no amount of tequila or Rum and coke ever devoured gave me that stance and people believe me when I say this that I have had my fair share, yet here I was doing my life's biggest no alcohol alcoholic dance with a fearful trance. Does that even make sense, oh well it never made any sense to me that time too. I was gonna fall down any minute, as I sat on the edge waiting for my dive with all the equipment safely attached, they told me to let go off myself with my back to the water, at this point I was freaking out, I just couldn't let go, I held on more tightly till my knuckles turned white, my heart was racing, I could feel my pulse and with all that weight my sweaty hands were giving in and I was loosing my grip. It was like I was falling to my death and I did fall in the cold water, forgot to breathe, forgot to do everything I was supposed to, I was frantic the trainer tried his best to calm me down, knock some sense into me at that point I felt like knocking him off and I am sure he felt like drowning me (crazy stupid scared girl). A little composure later I was fine just snorkelling there but whenever he tried to take me down below I would flip. I would do these crazy possessed woman gestures to go up and then after going up I would be like I want to get out. This happened a couple of times and then my trainer at the end of his wits was like what's your problem lady (I am so sure he wanted to toss a f#@$ing somewhere in the middle ). Yeah. The thing was he used to guide me down with light pressure on my head where as I used to get the feeling of he drowning me. To think of it he was just helping me and I was thinking he wants to cause me harm. Natural reflex isn't this the same thing in life, we can't trust easily. We don't trust someone who is helping us. Is that a societal thing today that is ingrained deeply in our mind - Not to let anyone in, be cautious of someone helping you, never to trust, too scared to ask or take help. huh. My trainer persisted, call it human tendency or his professionalism or just a good heart who wanted to genuinely help me experience something so beautiful to overcome my fear. He dragged me down again, this time I just gave into my fear, it was the same every time, me struggling, telling to go up, then they getting me down again and it just continued again and again. Eventually I got tired of the pattern, of the fear. Even before me the trainer did they stopped taking me up even if I signed I want to go up cause even they realized it were just mind games. So I had no choice I realized, so might as well look around, I gathered all my strength to calm down and started watching the sea life it was beautiful, so peaceful even though there was a storm raging inside me, the colourful fish, the ocean bed, the corals they had a calming effect. Beautiful ocean life as surreal as it gets. I realized I was fine till I was left to myself I got hyper when they forced me to do anything or guide me. I saw those happy couples posing away, my hubby was somewhere scuba diving by himself since I had taken our trainer all to myself not letting him go. Well there were other trainers keeping an eye but generally he was happy to be on his own without some drama for a change. After some time we went upstairs and then my trainer spoke something in Balinese with the other guy and then he tells me we have to go down again as I have to take your photos. I love photos, you guys must be knowing that by now. I can take photos for hours. I am obsessed in the literal sense. However I surprised myself when I replied to him - I don't want any photos just take me out and he goes like just some minutes madam - photo taking . And to my horror dragged me down again. My husband posed and lovingly looked at me and for the second time in my entire life (first time was our wedding reception, well that's another story- this would be the second time )I was like please get done with this will you in my mind. I couldn't speak right or else I would have screamt. I did enjoy it in bits when we were just swimming aimlessly looking at those creatures before we came out. After coming out in the sun I just wanted to kiss the boat floor and I literally did thanks to the weight attached to me. Sitting in the boat shell shocked smiling at my husband as the boat took us back to land. 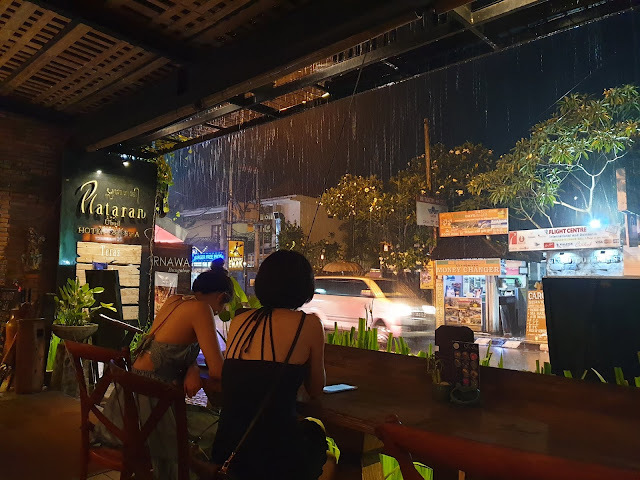 After a cold shower to wash all that fear down, I actually realised what I had done and was laughing over all this over some chilled Bintangs and Nasi Goreng overlooking the sea whilst the breeze blew ever so gently as I narrated what hell broke loose over them to my hubby dear. First time after coming here I took the scene in, the blue water and the calming sea. Deep breathe. Well now from far especially when my ordeal was over the sea did look calming and enticing. In my defence not that I have to present one or owe one but still - I still went, scuba dived and I did enjoy well now I realise. It was amazing and the biggest thing was in spite of all this fear I did it. I am sure now that all this drama is out of the way my next dive wont be so what do you say troublesome (I am quite handful, but I do get there in the end, now that's the fun the journey and everything in between. I do wish every time to get over my phobia of the deep water. I am taking baby steps. Will reach their eventually. Who knows some day a padi certificate also may be.. life's too unpredictable and so am I now. Dear Land, how I love you. Check out my snorkelling video, let me know if you could spot how frozen scared I was. Until I dive into our next adventure. 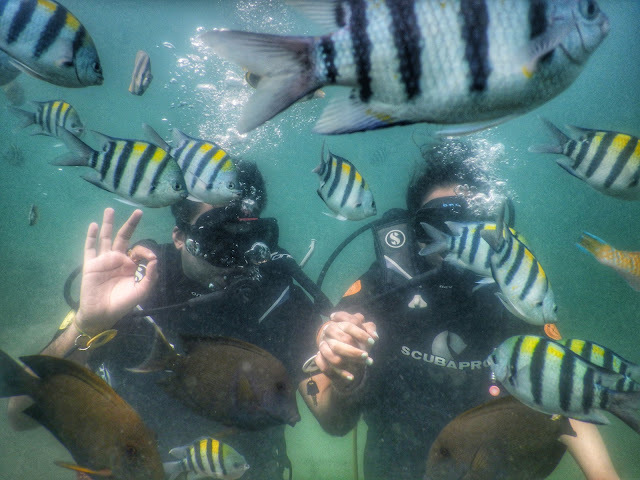 P.S We booked our scuba diving experience through Klook online. We went to the Bintang Beach Club for the same. Amazing experience and professional trainers. You can also directly book through them. This is in no way a sponsored post, we have paid for everything, just sharing our experience. 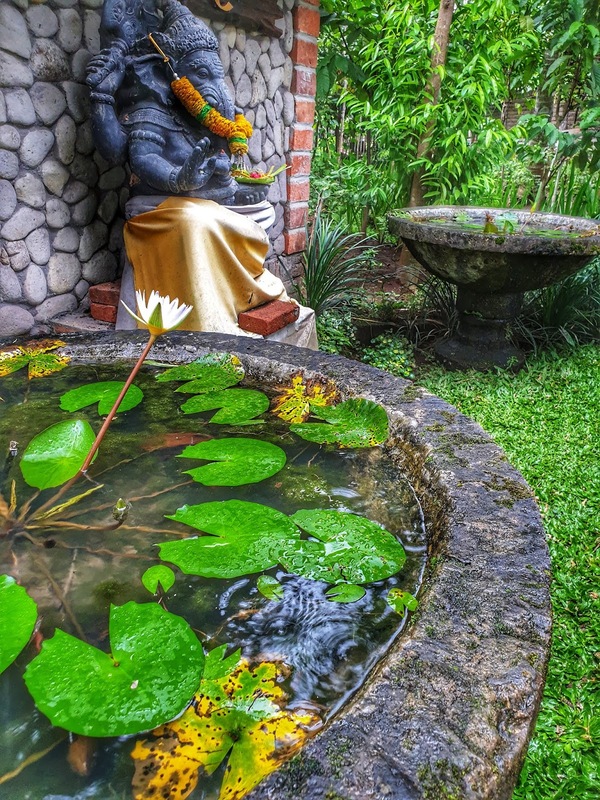 Bali - a magical place, where time stands still marvelling at the Balinese way of life. The beauty leaves a permanent mark in your memory and a piece of your heart is the payment you make. In my case a big piece indeed. It may sound cliched but Bali was on my bucket list since the time I saw the movie Eat Pray Love. For half the lady tourist in Bali are just there for Eating, Praying and Loving the Bali way till date. A decade later though here I finally am, literally joining that list and am I disappointed, on the contrary quite the opposite. I am impressed with Bali's soul on mine for life. The minimal, calming, peaceful, slow living - beautiful vibe. 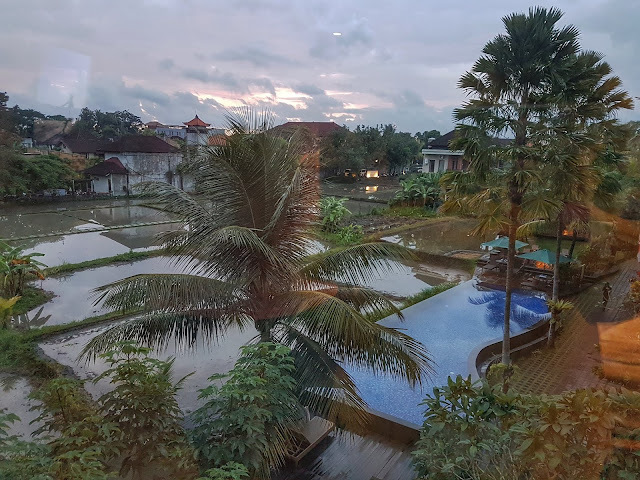 I can add many adverbs and still it wont do justice to this magic called Bali. So lets leave it at that, some places can only be felt truly. Honestly, I wasn't going to post, I wasn't going to vlog, this was just meant as an relaxing escape from all and very much deserved at it. 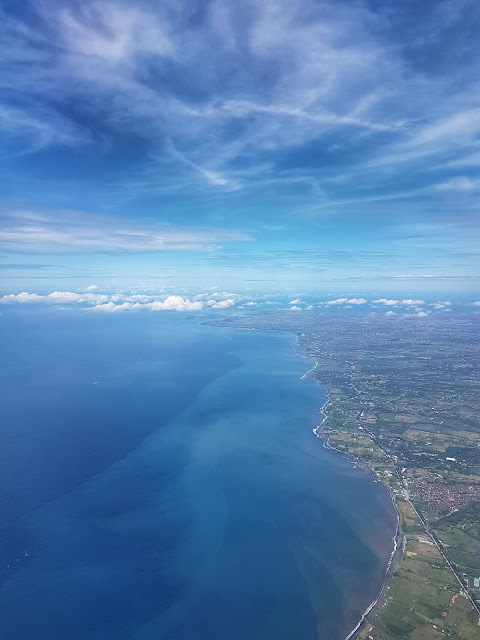 However I have been getting so many question about planning the trip and other things from you guys on my photos, so here it is - how I planned my trip and everything you need to know before going to Bali. My advice before anything, yes even before booking your air tickets is - RESEARCH. When you want to travel ? Bali has a tropical, humid and warm climate throughout the year. Having 2 seasons dry and wet. Dry season is between April - September. June to August happens to be the peak season add to that Christmas and New Year. 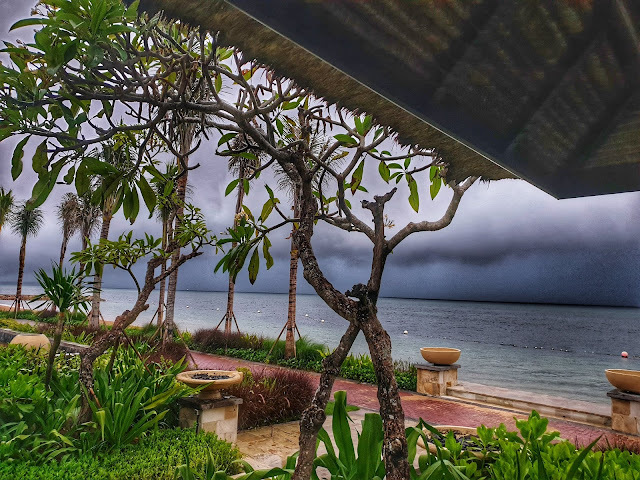 Rainy season falls between October to March. The sea is rough impacting the quality of water activities a bit. Though it doesn't rain the whole day over here and even when its rainy season it is sunny in Bali. You can do everything in the rainy season except for treks and volcanoes. The prices are a bit low for accommodations, shopping and you can also get a good deal on your air fare in low season. So first decide when you want to travel. 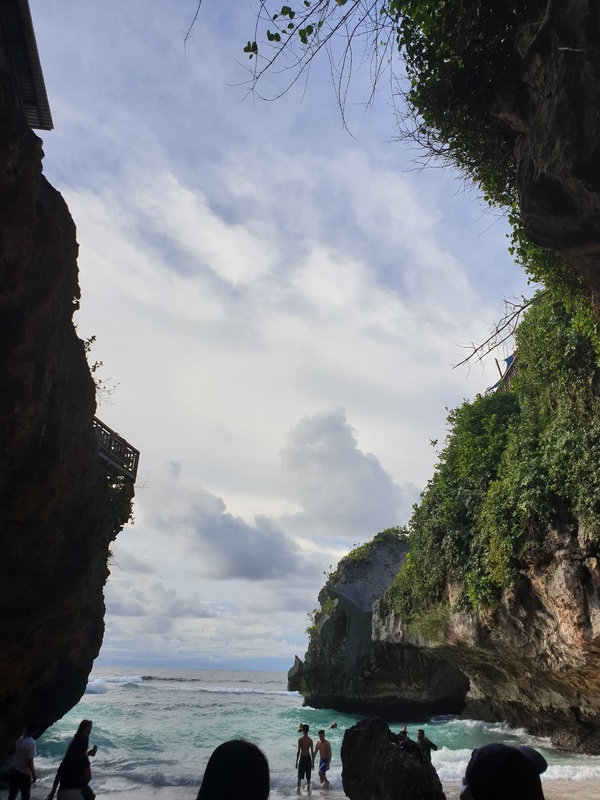 Where in Bali you want to travel ? You heard me right, now Bali is a mix platter and a damn good one at it. So decide what you enjoy the most and make your favourite platter according to your taste just like a wok. This volcanic Indonesian island is blessed with the best. Be it volcanoes, springs, waterfalls, beaches, corals, rice paddies, food, temples and believe me more. So you need to know what you want. The south side is most crowded. Famous regions being Jimbaran, Legian, Kuta, Seminyak, Nusa Dua, Sanur. Kuta and Seminyak are the party places for the wild at heart (vibe like Goa). The parties go on the whole night and its famous for its lively beaches and nightlife. You can enjoy shopping as well to your hearts content over here. Tanjung Benoa, Nusa Dua are known for the massive Luxurious Resorts with private beaches. The whole of south coast has numerous water activities to offer and some lovely surfing beaches and two of the most famous temples of Bali - Tanah lot and Uluwatu. The central Bali mainly Ubud is the cultural hub offering great spas, art, yoga, temples, waterfalls, rice paddies, terraces, Mt Batur. Slow living for the artists and creative at heart. Canggu is another famous one for a mixed variety of beaches and lovely cafes. North Bali is less crowded and blessed with beautiful landscapes, waterfalls, dolphin tours. 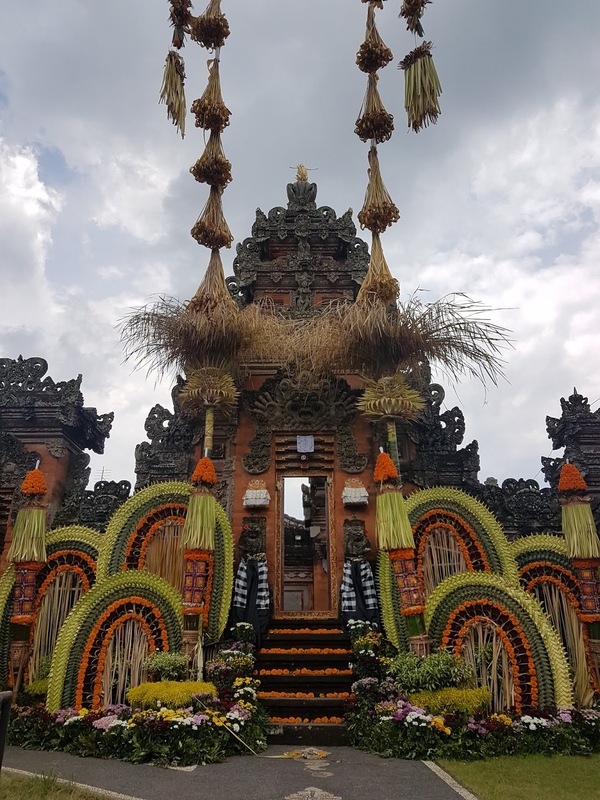 East Bali is less crowded again and is dominated by Mt Agung, black sand beaches, and the largest and holiest (most important ) Balinese temple Pura Besakih. 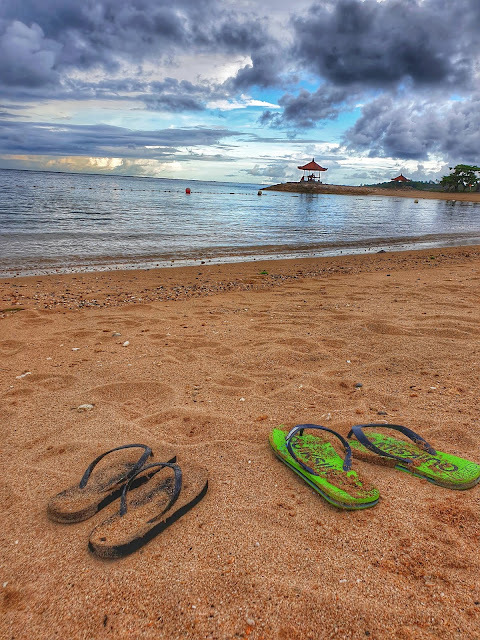 West Bali again is less crowded and has pristine beaches, tropical forests and National parks. 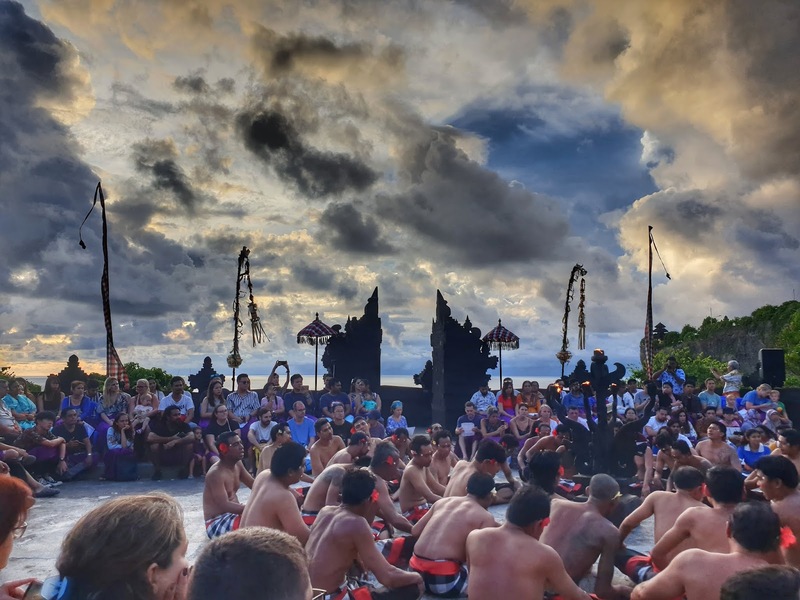 So now that you have got an idea about the regions and activities, you can decide the number of days you will like to spend in Bali and where. 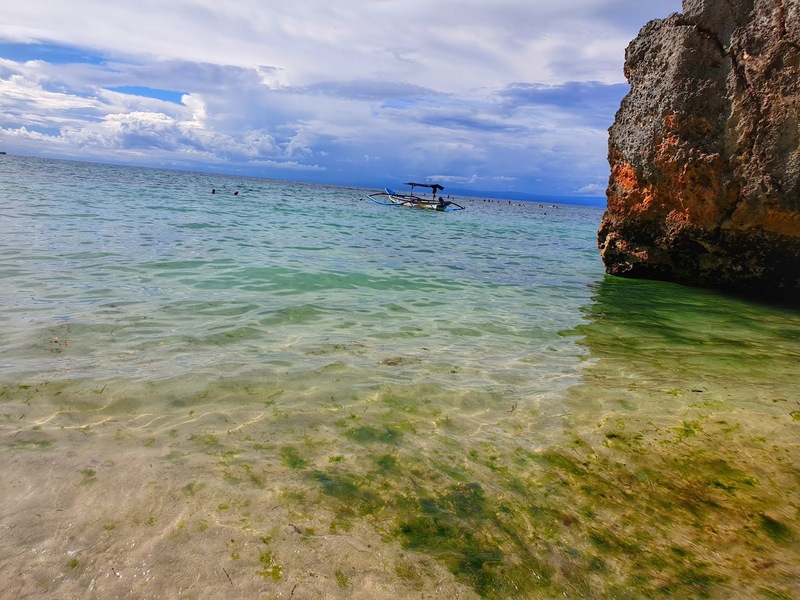 Apart from these, the islands in Bali (Gili and Nusa) are beautiful and must see whether you prefer one day trip or you want to stay for a couple of days - its all up to you, in travel there is nothing wrong or right - its kind of tailor made suit stitched according to your body. 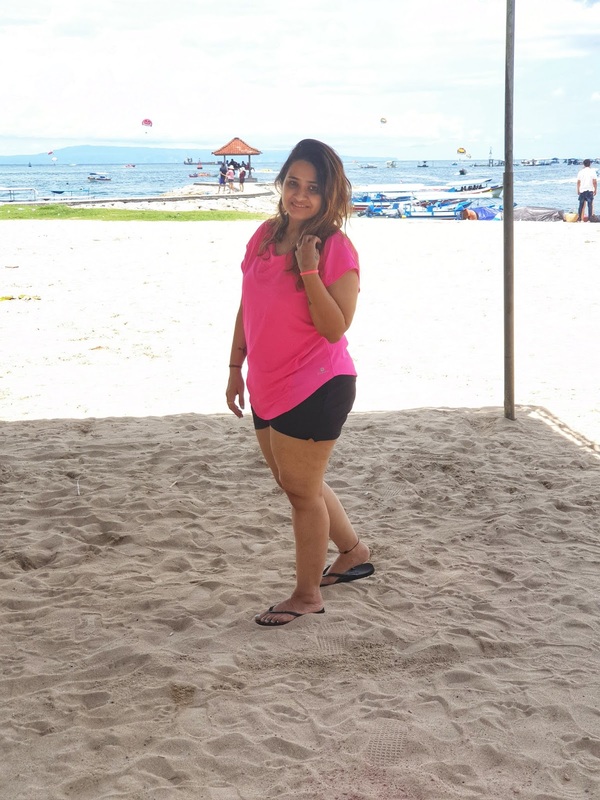 Apart from this do your individual research on the specific part in Bali you would want to visit and attractions there. Book your air tickets as early as possible at least 4-6 months to get good deals. We booked our tickets and after a month there was this huge airfare deal going on which was giving half the rate. Does happen, keep your eyes open for such ones but book them as early. Another thing there are like really cheap tickets to Bali if you have only carry on luggage. Its a deal if you can travel light, you can purchase extra stuff over there in case you need, toiletries, jumpsuits, shirts, pyjamas, trousers are great on the local market and not so expensive. Honestly we didn't take this deal, may be next time who knows. Visas are free on arrival (for 30 days)for 140 countries and completely hassle free its more or less just stamps at immigration. The procedure to extend your visas if required is also quite easy. Once that's in place book your accommodation. Trust me when I say Bali will spoil you with its hospitality. 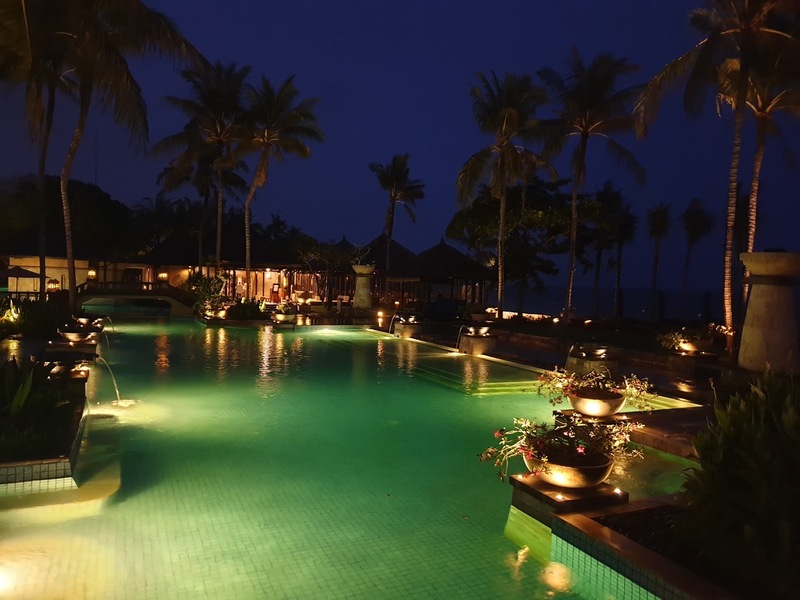 You have a vast range to chose from Luxurious properties, boutique stays, resorts, air BnB, home stays, villas, your very own paddy field cottages and more. Sky is the limit or should I say just the starting. Based on your mood, vacation and what kind of traveller you are book your stay. 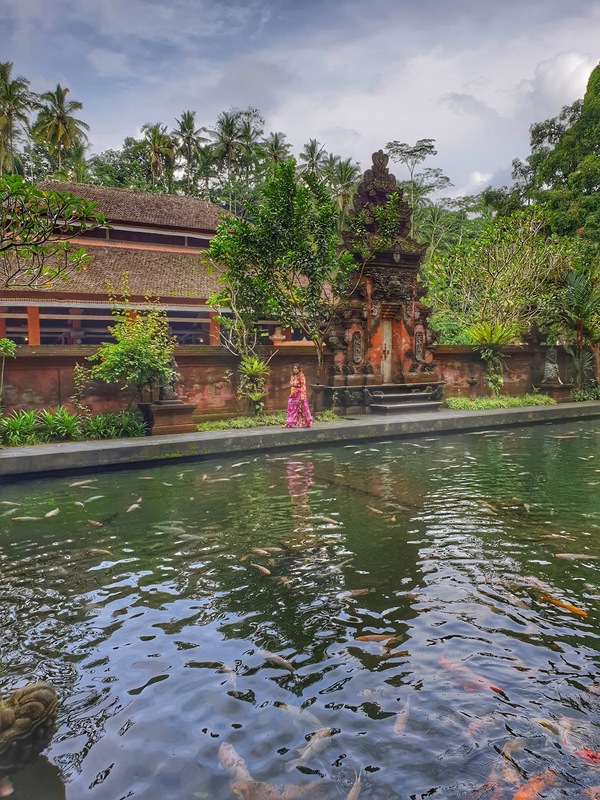 If you are staying for long definitely go in for a cottage in the paddies or your very own villa to bask in the Bali beauty. If you want to stay centrally, then go in for the huge number of hotels and BnBs In the area. Check the reviews and you will definitely get what you looking for. 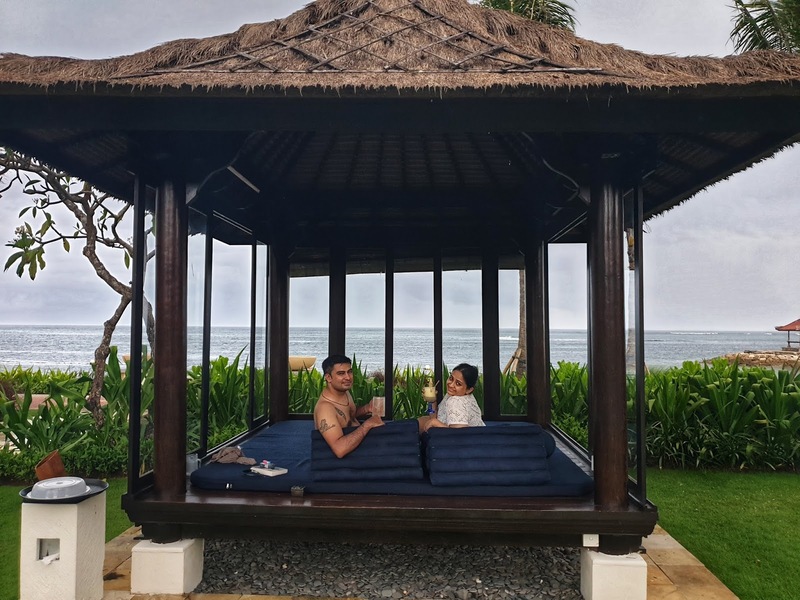 On a romantic getaway head to one of the amazing resorts which are prettier than pretty and would provide you with your own little Balinese sanctuary with all the comforts at your fingertips. Bali zooms by on a bike - yes bikes are a big way to travel in Bali and a faster one too. There are bikes almost everywhere and its quite travel friendly. You will see a crazy amount of bikes in Bali. So go ahead rent one, its the best way to see Bali and quite easy. 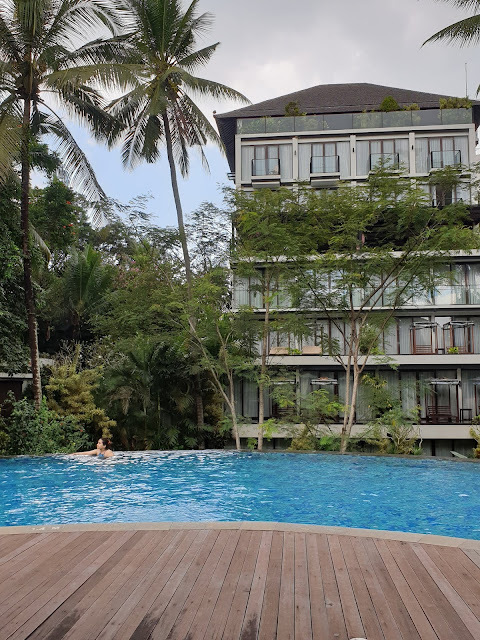 Having said that you can rent a car or drive your own but keeping in mind the roads and traffic in Bali I will strongly suggest you steer clear of driving any cars. You can rent a car, its quite vfm and available easily. There are a lot of tour providers at less than every 100 mts. Bali runs on tourism. So almost everyone doubles up as a tour guide and they certainly do a good job. The hotel you are staying at can arrange for a car for the airport drop or anywhere you want to go. There are a lot of tour providers who will give you the car for 10 hours at a reasonable price, which is really great. The drivers always have tour guide books handy so whatever you want to do they can be your man. You can also book tours online, we booked some of ours by Klook and some locally from the local drivers and believe me all were great. Dm me directly for the phone numbers of these drivers and they can arrange everything for you. (I am no where in the middle, I have used their services and found them more than satisfactory and hence passing on the number to benefit them as well as you, this is in no way a sponsored post, just sharing my knowledge and experience) most of the booking and tour business in Bali works on wats app, that easy. 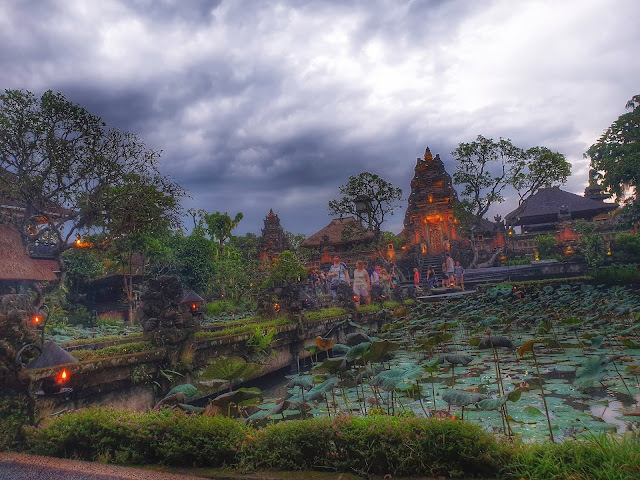 An airport transfer from airport to central Ubud cost about Rs 1500 - 2000 approx. locally. 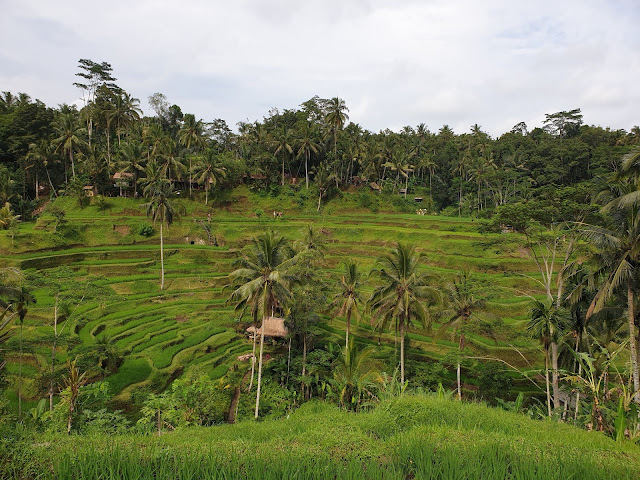 There are also private shuttles and buses which are very cheap from the central Ubud. Money changers are easy to find in Bali on your way from the airport in any region and are located almost everywhere. Needless to say the airports have a higher rate. Go only to the authorised money changers and not to places who say authorised no commission and look a bit dodgy (there are some scams ). Always recount the money no matter what. Apart from this, its a cake walk, just stay sharp always when you travel and there's nothing to worry. 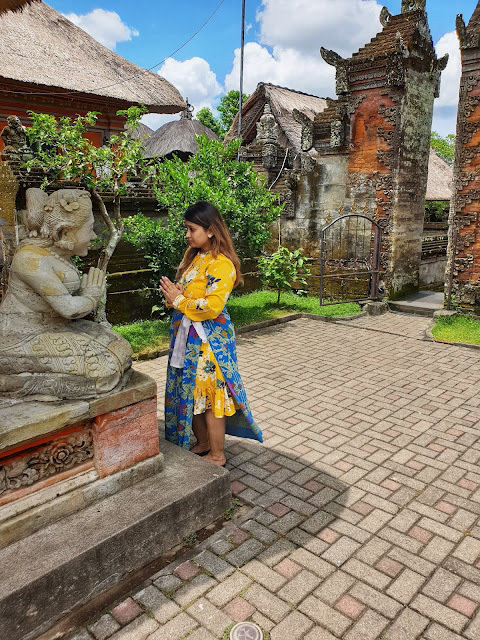 So these were the things you should know before visiting Bali. I would suggest of staying a minimum week to at least get a glimpse of Bali. 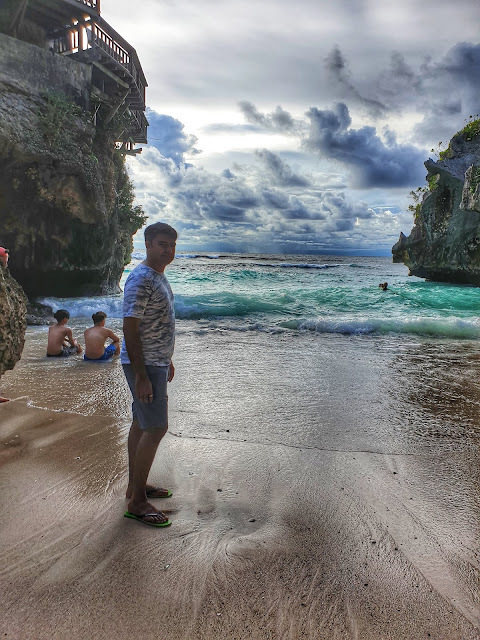 If you are a beach person you can do 4n in south of Bali and 2n in Ubud. If you love the quaintness, spend more time in Ubud. 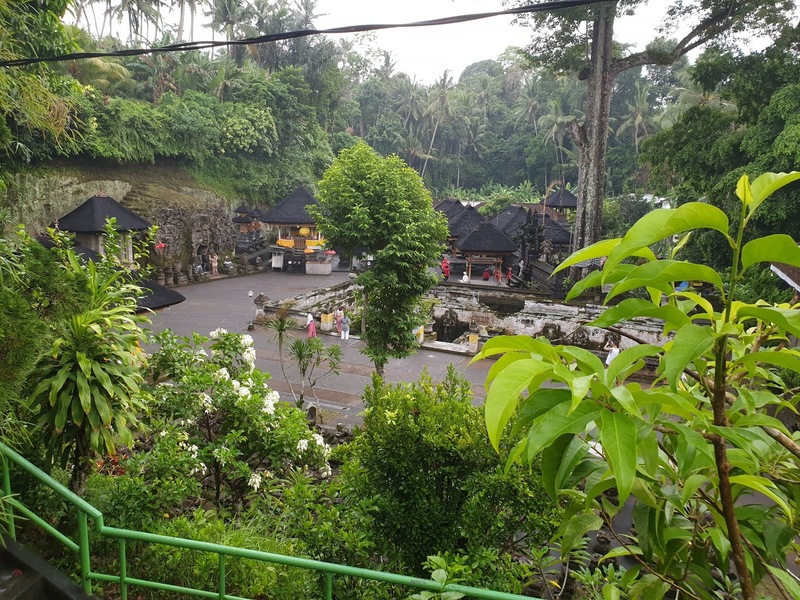 You could also do 3 nights in south 2 nights in Ubud and 1 day trip to any of the islands or towards the mountains for some adventurous hikes. Decide on the places you want to visit and things you want to see, the experiences you want to have and planning will be that much easier. 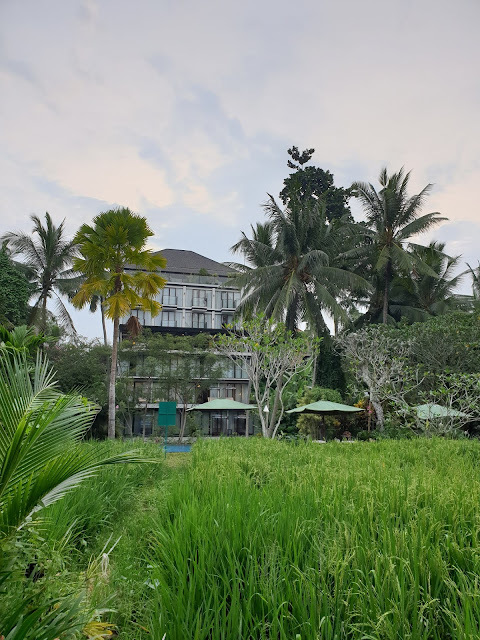 We were there for 3 nights in south and 5 nights in Ubud. I wish we had more time and I could have covered the islands and some other things but that's kept for the next trip. This was a strictly relaxing leisurely vacation and we made the most of it (we happen to be leisurely travellers / explorers and don't like to rush, life is all about slow living and cherished experiences ). 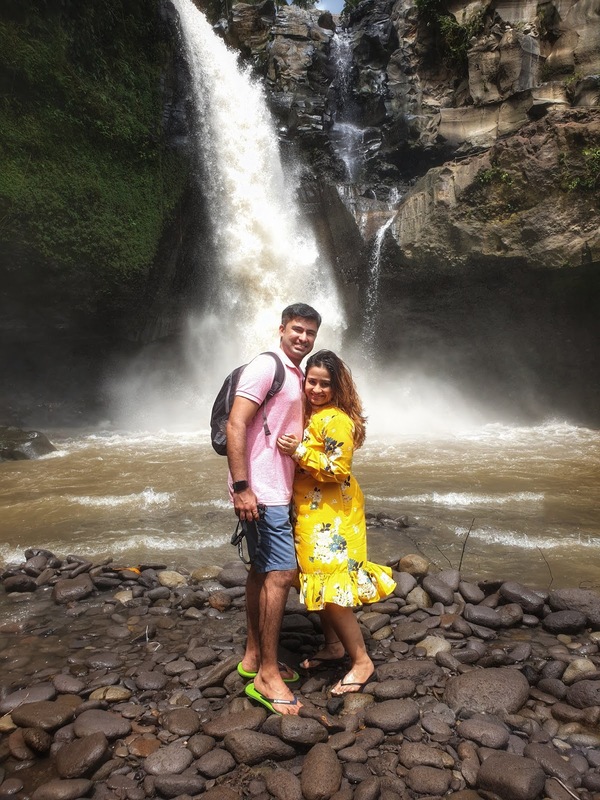 Do let me know if you would like me to share our itinerary or any other things you would like to know about Bali. I will be doing separate posts for shopping, experience and people and culture, do let me know what you would like to read. Bali vlog too coming soon. So stay tuned to the channel. As I was posting my latest hair cut and colour today on Instagram another picture popped up in the memories of a year ago in another hair cut and colour. Amidst my morning rituals and chores, my haircuts kept popping in my head throughout the years like some yester year's baal baal dekho film and that my friends started an afternoon of obsessing over my hair, trying to rumage through my old pictures, posting them and my favourite hairstyle and stylists and so on. I love my hair, I really do, its funny to go to think about it cause while growing up I never had any hair by choice. Till grade 7 I sported a short boy cut not quite common in those days. It wasn't considered a social norm especially for a Maharashtrian girl. 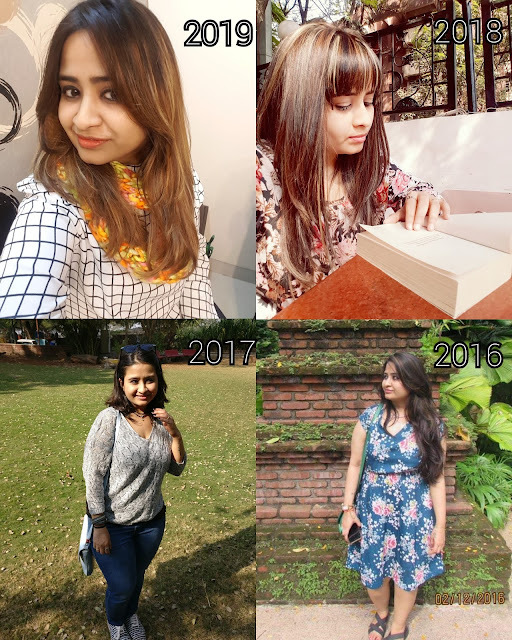 My teachers in school used to actually call me in private and enquire as to why my hair was so short, they used to point out, its as short as the boys if not more and I would happily reply "I like it that way".Then came a time where it was made compulsory to me to grow my hair to fit in some beauty box of societal norms and I had to succumb to the pressure unwillingly a child in 7th grade could only throw so many tantrums. So started my man(e)y grooming days. I grew my hair nice and long, I loved my hair and so did people all around. It gave me confidence and liked myself generally but yet the girl with short hair never did forget. Till date I love to maintain a short crop than a flowing mane. Years passed by, I never cut my hair really short but I always coloured them wild - all shades of blonds and blood reds, their was this rebel streak I would never leave. Then for my wedding I did something drastic I did go for blond highlights and cut them shorter a move just before your wedding which was considered bold and stupid but again that was me comfortable in my skin and comforting myself that my life and my choices were still within me, belonged to me. It was my way of coping with change or adjusting to a new lifestyle. I got quite a lot of fume and love both for my action but I rocked my ethnic bridal look in my bold blonde streak, my way. That I guess started this ritual of experimenting with my hair- so every birthday I do something very different with my hair. Its like a new me on every birthday. I am still that rebel because with ever haircut I do, I get a lot of flax my way but its like my hair, it will grow back, it will be fine. Its a different me but still me. Its like my haircut is in my hand like my life decisions is in my hand. There are so many women even today who are not even allowed to cut their hair their way. Its like even this tiniest of decision plays such a gender role in our society. There are still people I meet who say I have to take permission of my family before I do a haircut or I am not allowed to go short even if I want to. There are women who are judged on the length of the hair they sport or the colour they chose. The hair cut still decides what cut you make in the societal norms. I still wonder, and so does the little girl with short hair. On a lighter note to know more about each haircut and hairstylist check out my insta stories - highlights hair and if you do visit any of my hair stylist please do mention me. I love wild life and Nature, so after visiting couple of national parks Jim Corbett was always the topmost on my list. India's oldest and most prestigious national park which was established in 1936 A.D. the first National park where Project Tiger was launched. This park derives its name from Jim Corbett the famous hunter who later turned nature conservationist. Situated in the serene Nainital district of Uttaranchal, this jungle is like a holy grail for the wild life lovers all over the world. When we talk about Corbett then its Dhikala zone, is the ultimate cherry on the cake. The heart of the jungle or in the wild life lingo Core area for animal activity. 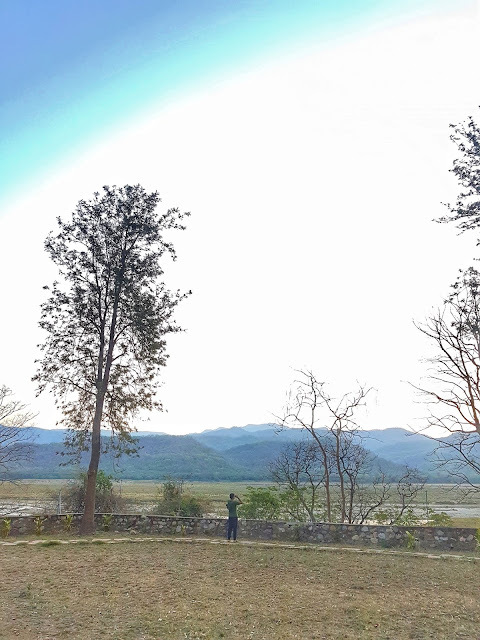 The lifeline of this forest river Ramganga flows through this largest zone making it one of the most spectacular and magnificent area of the forest, rich with exotic flora, fauna and wild life. 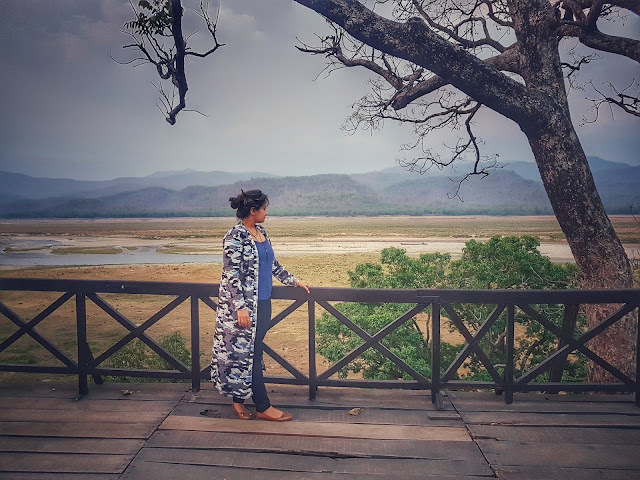 By now you must have got the gist of how mesmerised I am with this place and how very excited for a special wild vacation with the family (pun very much intended). So staying in Dhikala is a big thing because its one of the only core areas in the country which allows to stay right inside the jungle amidst all activities. It is definitely a special stay and with limited number of cottages you really need to book in advance and get lucky to be here. We certainly were. 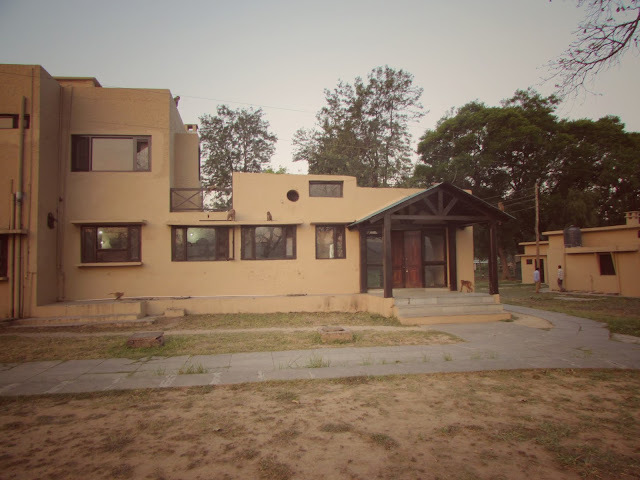 Dhikala forest lodge is run and administered by the forest department of Corbett National Park. One finds here a lot of forest officials, professionals, wild life enthusiasts, photographers, researchers with all their gear and its quite fascinating to watch them at work. The lodge is about 1 hour inside the forest gate and the drive is a safari in itself starting your crazy wild life adventure without any delay. The guest house is 100 years old built by the British. Though the property is basic in nature from some olden era with huge rooms having massive French windows and the highest of ceilings; its the entire experience which leaves one spell bound. Living amidst the jungle with dense foliage and animal cries and calls it definitely can't get more exciting and magical than this. As I said the options and rooms are limited due to the high demand so we had no choice but to share the bed between three. Husband, brother and me. 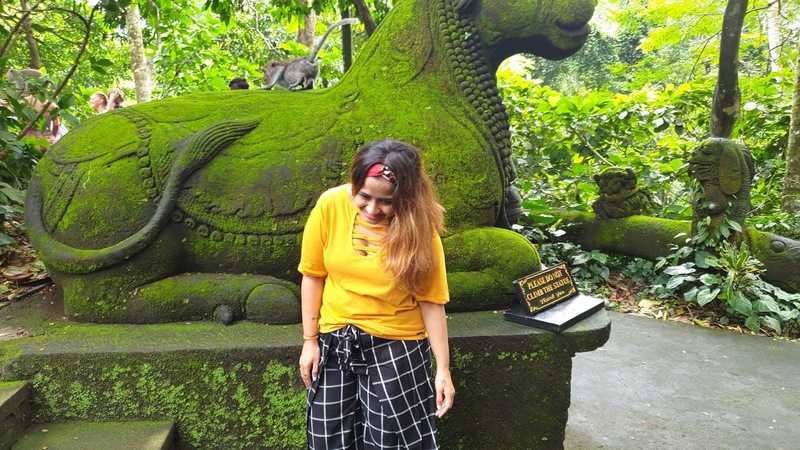 So after we explored the beautiful but spooky scary property what with the dense canopy of trees, monkeys lurking everywhere and more of jungle and animal noises for company than humans. The truly beautiful machan overlooking the valley - jungle below with its water body where you could see animals playing by it or just lapping up some water, bathing or gazing intently ( i wondered were they human watching us in return ). The never ending electric fence recently fixed to keep the elephants and animals out of the property which we were told again wasn't 100% effective (so much for some reassurance).The sky was eerie and we had some folk tales and jungle stories narrated with full enthusiasm during our hot simple veg meal in the restaurant. All excited for our safari early morning we decided to call it a day having travelled far and being really tired. So everyone bid farewell for the night and crashed to their rooms. To our dismay we three realized that the fan in our room with the highest of ceiling worked only on 1 speed ( the lowest ). The air was hardly circulated till the bed where we three lay cramped, squashed on the bed (in the peak summer season). After tossing and turning hubby decided to take things in his hands and opened the windows (mind you these were the big, massive big French windows ) it instantly became pleasant as gentle breeze filtered in through the mosquito nets. It was a little later after that when I was woken up by something else filtering in. The night had begun in the jungle it was vibrating and echoing with animal calls and activity. Elephant trumpets, Barking Deer, Tiger Roars, in live form as if they were there outside the room and they were actually there in the valley below may be some where around too. Now all those amazing stories at dinner - of tiger kills at the property, sightings, all of them started reverberating in my head. The property being right amidst the jungle so much so that non veg wasn't served due to animal presence and danger. I started imagining a tiger outside the window or worst an angry elephant, now the charm of the charming French window was diminished down to zero as I lay awake I cursed the ever so high, wide and open windows. Imagining what a flimsy mosquito net would do between me and a tiger or a leopard. After having laid awake for what seemed like eons scared as hell I looked at the two blissfully unaware sleeping forms by my side and not wanting to awaken them for the fear of being deemed as a coward throughout life; I gathered every ounce of courage and walked to the window, stood there for a couple of hell longest of minutes expecting some animal to leap in air at me or some eerie ghost to catch up with. Scared out of my wits with my own thoughts I ran to the bed only to scamper back to the window to half shut it, as if that barrier was enough for those predators. Well that was only so much I could do and as I lay tossing and barely turning into the limited space I had and thinking about someone pouncing in through the window. Even the sound of the house lizard was magnified in the eerie space as if played on loop on a speaker and finally after some time I was lulled to sleep by the jungle sounds, beautiful yet scary. An hour or so into my well earned jungle sleep, the alarm rang in the wee hours of the morning. As I dragged my tired body to get ready for my first safari in Dhikala which I had waited for a very very long time. In all excitement as I sat in the cold metal jeep sleep deprived, eyes tired, puffy and paining waiting for my safari adventure; only to have a blink and miss sighting of the first tiger of my life. Yes but that's another story now.. PINK and everything that girls want. bhakti khade rangoonwala. Simple theme. Powered by Blogger.